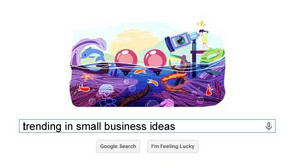 If you have ever done a Google search for what is “trending in small business ideas” or “top work from home businesses” chances are there are thousands of others looking for those same trends – or have already tried them and that is why they are trending. The other reason not to try some of the trending business ideas that many of these lists indicate are getting popular, is that the people who are writing about them are writers who primarily look to the statisticians and trend followers, but do not practical business people. I wanted demonstrate some of the business ideas that are supposedly trending, but are not start-up business ideas. Body decoration services (piercings and tattoos). This was listed on trending websites as a trending business idea to start. Yes tattoos and piercings are very popular today among men and women, but they are not a business someone just starts up and hangs out their shingle saying “open for business.” This is a business that, in order to succeed in, you must have not only the talent and experience to know what you are doing, but have established yourself working in another person’s shop and built your own reputation and loyal clientele. Financial advisers and planners. It is true that this is a growing market and that there has never been a better time than now to get into this field. But it is feasible only after taking the proper courses and getting the certifications, credentials and licensing – then working within a company who has established a brand and reputation for success. I do not know about you, but I am not going to walk into an office of a start-up financial adviser who took a weekend class and decided to open up his own financial planning business afterwards. In-home beauty services. Many people are interested in getting services like this delivered to them in the comfort of their own home and for the experienced esthetician this could be a viable business, again provided they have the proper certifications, licenses (including the new “BodySafe” license from the City of Toronto). The problem with this as a business start-up is that it takes time to train and then get experience that will gain the trust of clientele. I do not know anyone looking for a person who just finished 4 to 6 weeks of school, to come into their home and provide these types of service. Besides the trends in what are good businesses to start up, the other problem with trends is when businesses follow trends that lead them down the wrong road and away from their core business plans. Access to trending ideas and practices at the tips of your fingers or at the click of a mouse, has basically caused the slow death of creativity. More businesses are getting lazy and following what ever today’s trend is – and not looking for new ways to initiate their own trends. Keeping up with what is trending is important to your small business, and even using some of those trends could benefit your business. But looking ahead of the trend is much more important. Often, some small businesses will come to a trend late and be in the dark about emerging trends, and not be able to prepare for any changes in direction they need to make. It’s important not to be seen as behind the times by existing customers. This does not mean they have to participate in the trends, but to know about them and know about any effect those trends could have on their business or the marketing of their small business. I wanted to end this blog by thanking one of our office for lease tenants who inspired its writing. Seems he only recently discover our Facebook page and made a point of walking down the hall from his office to the reception area to tell our receptionist that he liked our Facebook page, instead of following the trend and clicking the “Like” button on our page. It is those types of personal compliments from a happy customer that we would rather see than just a Facebook like. So thank you so much!